Summary: The Dell XPS 9370 is one of the best ultra-portables you can get these days, even if not necessarily the update I've been expecting as a long-term user of an older XPS 13. 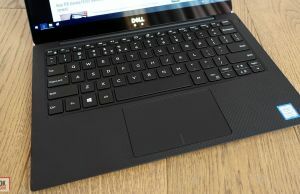 Dell focused on making it smaller and lighter, while updating the screens, adding a few extra features and improving aspects that lead to slightly tweaked performance and thermals, but at the same time the IO and battery took a hit, and some of the QC and practicality quirks people have been complaining about on the previous XPS 13s were not addressed. Read on for the in-depth analysis. 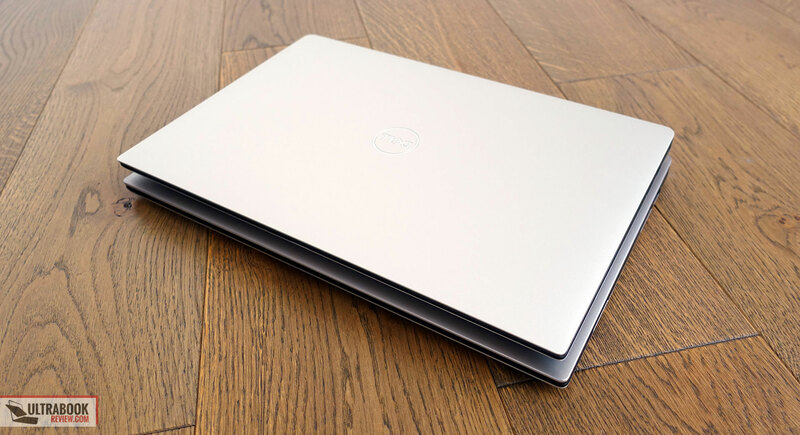 I’ve bought a Dell XPS 13 as soon as the compact refresh was initially released back in 2015, and I’ve been using it ever since as my travel laptop. 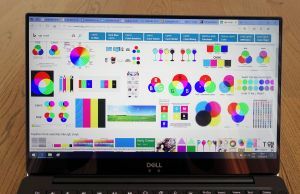 You can find my initial impressions in this article, as well as my long-term experience with the XPS 13 in this post. Quick forward to 2018, Dell launched an updated XPS 13 9370 model at the beginning of this year, and I’ve finally got to spend some time with it. This article gathers how I feel about this newer generation, what has improved, what has not, and how it fares against the previous design. 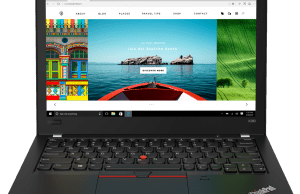 Doug also talked about his experience with the Dell XPS 9370 and Lenovo ThinkPad X1 Carbon in this detailed article, if you’re interested in a different view. 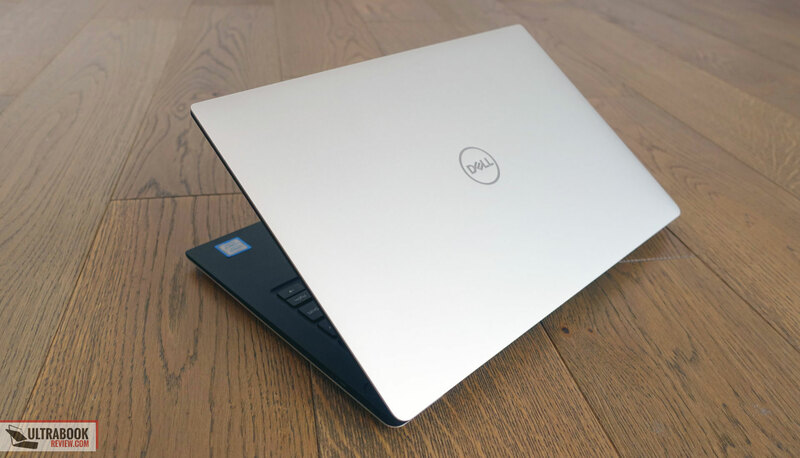 We’re publishing this later than the other reviews out there, so it will tell you what to expect from a more mature version of the XPS 13 9370, the one you’ll get in stores if you’re shopping in the second part of 2018 or later. We’ll particularly look into how Dell addressed (or not) some of the issues the early adopters complained about. 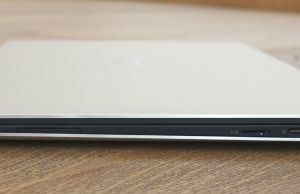 In a few words, the XPS 13 9370 is one of the most compact 13-inch laptops on the market. It’s still a premium computer, but with a smaller and lighter build than the previous iterations. It gets updated hardware, keyboard-feedback, and a few other extra bits, but at the same time, it only relies on a miniaturized IO and has lost about 15% of its battery size. 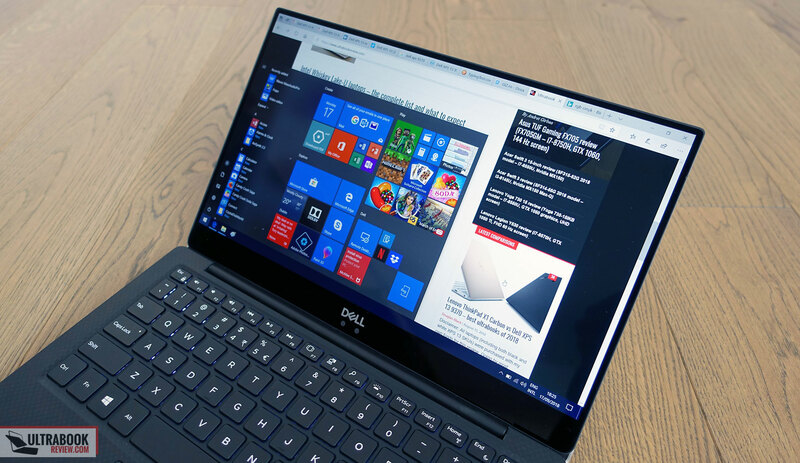 Update: The XPS 13 9380 2019-update is available in stores as of early 2019, and you can read all about it in our detailed analysis over here. 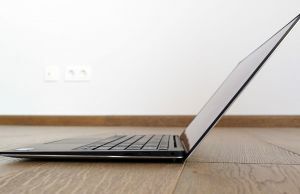 There is however more than meets the eye about this laptop, and you’ll find all about its strong points and quirks below. 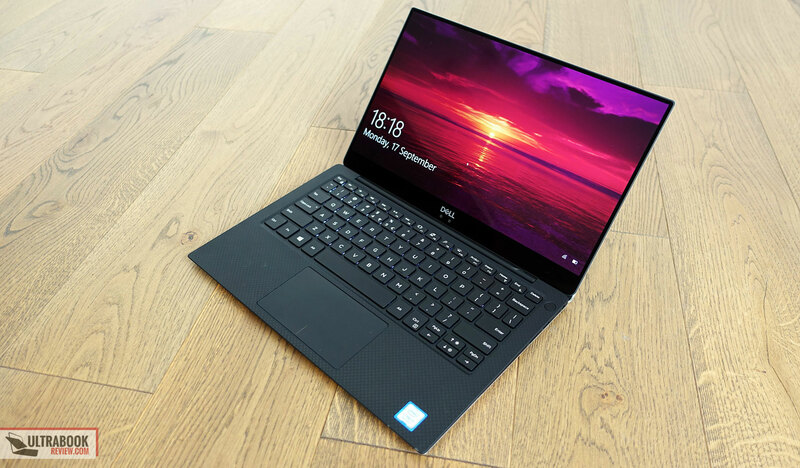 Dell offers the XPS 13 9370 in several different configurations, with 4 to 16 GB of RAM, Core i3 to i7 processors and either a FHD non-touch glossy or the UHD touch screen. 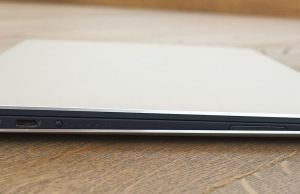 The previous XPS 13 9360 is still available in some regions though, with same-generation hardware and either matte or touch screens, but with a larger battery, full-size IO and lower price. 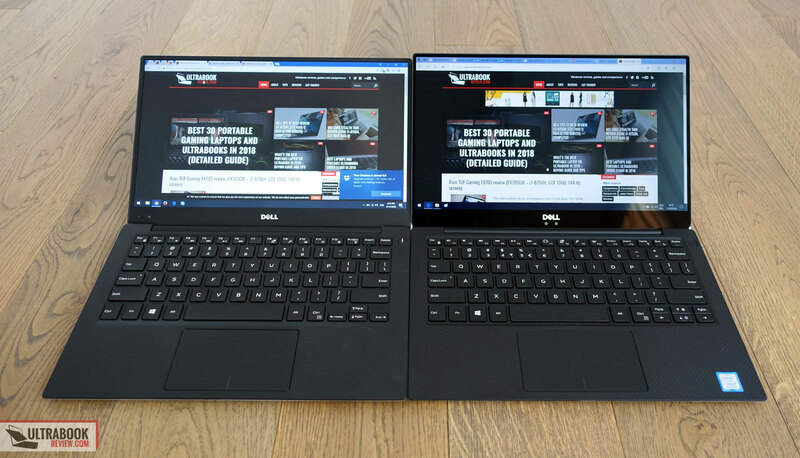 This 2018-update of the Dell XPS 13 is millimetrically smaller and thinner than the previous generations (302 x 199 vs 304 x 200 mm), which translates in fractions of a mm smaller bezels around the screen. 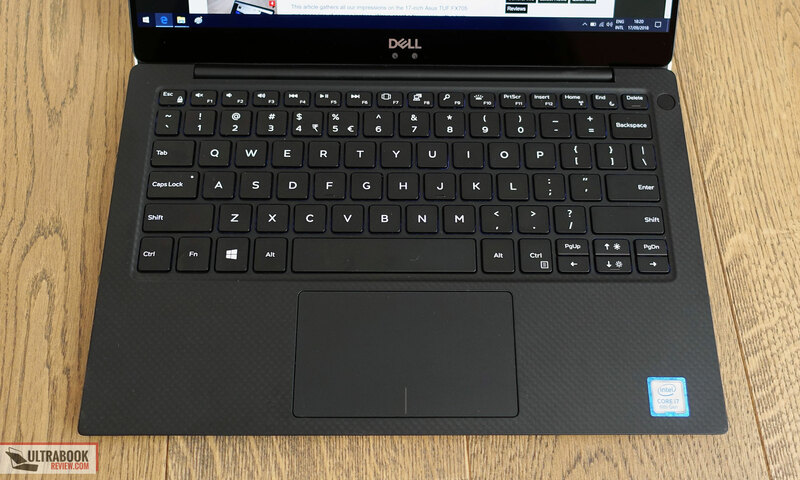 As far as the height goes, Dell advertises the XPS 13 9370 at only 11.6 mm at the back, in the thicker part, compared to the 15 mm of the XPS 9360, but in reality this is misleading, as this version still sits at about a 17 mm height from the desk when you count the feet and the more convex shape of the underbelly, which is just about 1 mm shorter than the previous build. 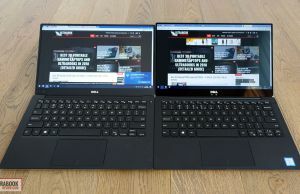 In other words, yes, the XPS 13 9370 is smaller than the XPS 9360/9350, but these differences are so tiny that you’ll hardly notice them even when having the two models side by side, let alone in actual use, as the previous design was already very compact. The overall aesthetics haven’t otherwise changed, but there are now two versions of the XPS 13 9370 available: the silver one with a black fiber-carbon interior, the one we have here and carries on from the previous designs, as well as a new golden model with a white interior. I still find the black a better match for my taste, but the white’s interior does a much better job at hiding smudges and finger oil. Speaking of interior, our test model comes with the patterned fiber-carbon finish, which actually feels smoother than on my older XPS. I’m not sure if that’s due to the age, but the palm-rest on my XPS offers gas more friction, while the same surface of the XPS 9370 feels a little nicer. That aside though, the two variants look very much the same, with the same keyboard/clickpad design, the same hinge, the same blunt edges and the power-button placed in the top-right corner. It’s no longer always-lit on the XPS 9370, which was one of my complains on the original design, and integrates a finger sensor now. 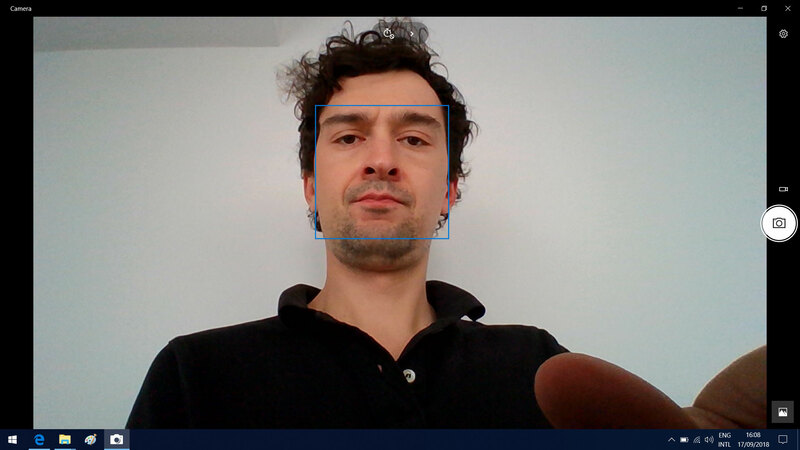 You can use that to log into Windows, or use the IR camera instead. The IR camera and the regular webcam are still nose-cams placed beneath the screen, but they’re now in the middle, under the Dell logo, and not on the side as on my XPS. Not much has changed in terms of practically either. 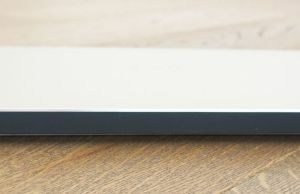 The new XPS still sits well-anchored on the desk thanks to the grippy rubber feet on the bottom, there’s till no crease or notch to grab the screen from when opening it, and you’ll still need to use both hands to do it, as the stiff hinges won’t give up otherwise. Speaking of those, they still only allow the screen to lean back to about 145 degrees, which is rather limiting for this kind of a laptop that’s not just meant for desk use. These aside, some people have been complaining about the new version’s less sturdy build, and it’s true there’s a little more flex in the lid and keyboard deck compared to the rock-solid construction of the previous models, but you’ll only notice it when having the two versions side by side and pressing hard on those areas, but not with everyday use. 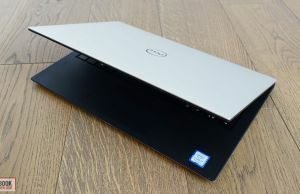 Thus, while the new design is not as sturdy, I doubt the average buyer would complain about it, as the XPS 13 9370 it’s still one of the nicest and toughest computers in its class. 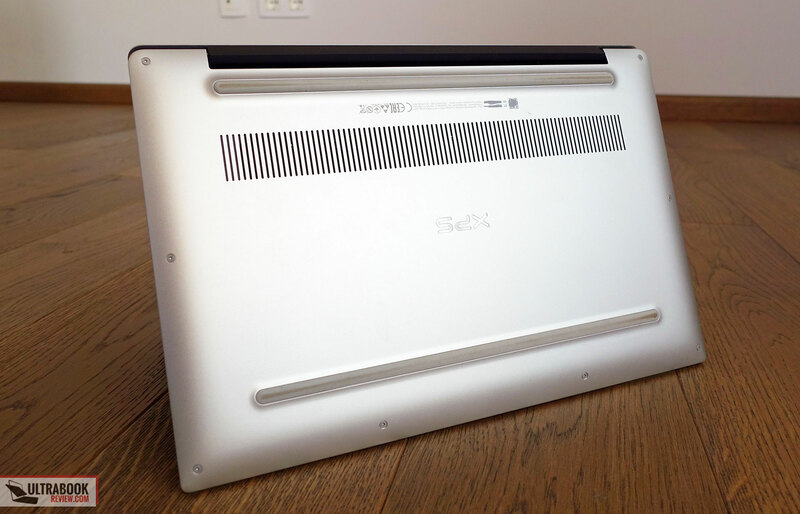 The updated IO of the XPS 13, on the other hand, is a tougher nut to swallow. 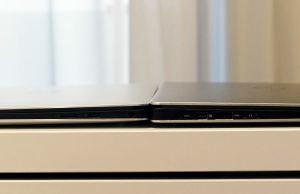 The previous version got two USB-A slots alongside a USB-C Thunderbolt 3 connector and the full-size HDMI, as well as an SD-card reader. 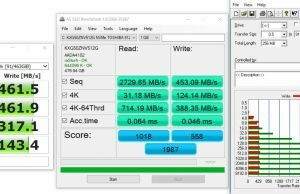 With the 9370 there are three USB-C slots, two of them with TB3 x4 PCIe support, and a pretty much useless microSD card-reader. On top of these, I’m not that happy with the headphone jack being moved to the right-back corner, as I feel that my headphone’s cable is more in the way with this approach, but at least they kept the neat physical battery gauge that lets you quickly check the capacity without even having to turn the laptop on. Dell includes a USB-C to USB-A adapter in the pack, but you’ll need to buy adapters for anything else. 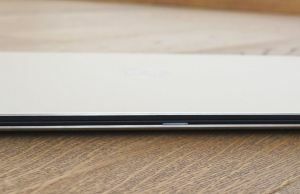 It’s true most other ultra-portables are going the same route with USB-C only IO lately, but some people, myself included, might feel that this 2018 XPS 13 has lost one of its competitive advantages with the redesign. The speakers are still placed on the edges and fire through some tiny cuts, but they’re actually better than you’d expect, as you’ll find out when we get to talk about them. The charging white LED is still a part of the front lip, flanked by microphones, and the cooling doesn’t seem to have changed based on the existing intake and output grills (behind the hinge), but it’s actually revamped, and we’ll talk about it further down. 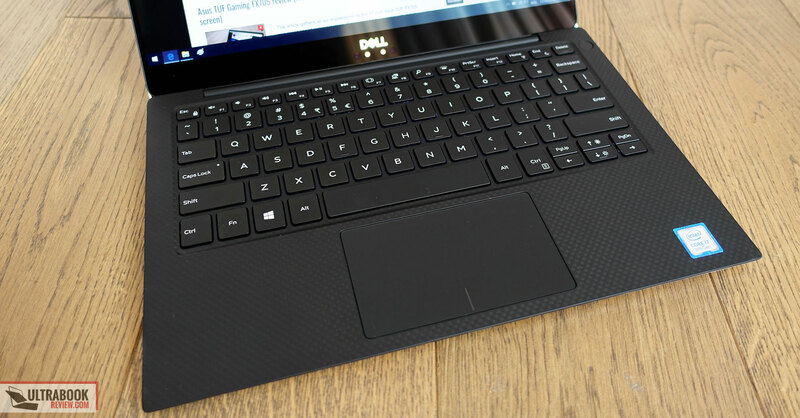 All in all, as a long-term XPS 13 user, I’m not that satisfied with the new iteration. Yes, it’s marginally smaller and thinner, but the differences are tiny and come at the expense of the miniaturized IO. On top of these, many of my practicality issues with the original XPS haven’t been addressed: the metallic edges around the screen are still sharp and will bite into your fingers when trying to open the screen, you still need two hands to do it, the screen still doesn’t lean back flat and there’s still a bright charging LED on the front lip that you’ll see when having the laptop plugged in and watching a movie in a dark-room. In other words, I feel that this new design is even less practical, without much in terms of gains. 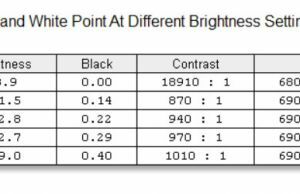 Yes, the finger-sensor, IR camera and the new color scheme could be enough reasons to pick the 9370 over the previous 9360, but I would have hoped for more. As for the much-hyped smaller build, well, the pictures in this article show that it’s mostly marketing and won’t make any difference in actual use. 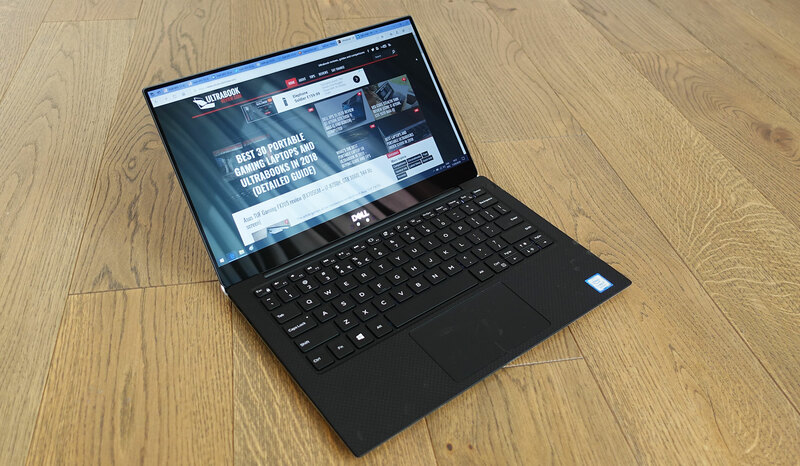 Of course, you shouldn’t get me wrong, this 2018 XPS 13 9370 is without a shadow of a doubt one of the nicest built and looking 13-inch ultraportables on the market and I’m somewhat nitpicking on it quirks, but I was perhaps expecting a significant update of my all-time favorite mini-laptop and this is not it. In fact, the previous XPS 9360 remains the more practical alternative in my opinion and while I understand Dell’s need to bring a refreshment to an otherwise 3-year old design, I don’t agree with the direction they went with, and would have preferred if they just kept the old build instead, added the extra features and fixed some of its quirks. 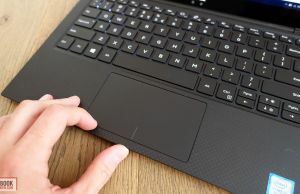 The XPS 9370 gets the same keyboard/clickpad design as the original model released in 2015, but their feedback has been tweaked over the years. 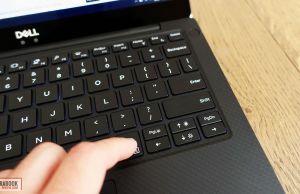 The keys, for instance, are not as mushy and as soft as on my older XPS, so the average user should get along a little better with this keyboard. 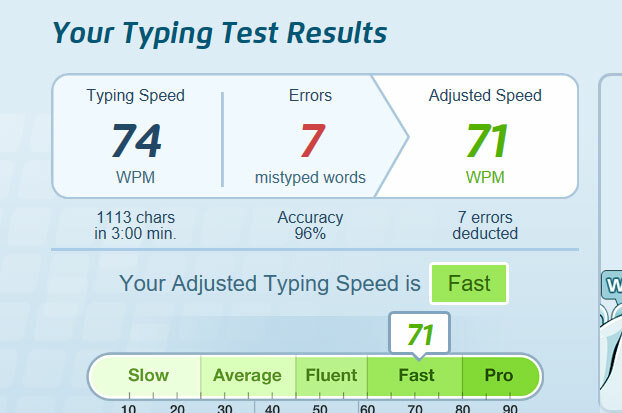 They do require a firmer stroke to actuate, and after typing several thousands of words on the 9370, I can conclude that I actually prefer the softer keyboard on the previous versions a little better. That’s no surprise though, as I have been using it for so long now, and I am for the most part a fan of low-resistance keys anyway. My speed suffers on the newer XPS 13 and I find that sometimes I don’t hit the keys hard enough to actuate and have to get back to them. You might feel different, but if possible, I advise you to give this a try in a showroom. 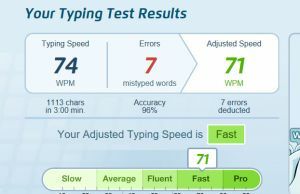 You’ll also find Doug’s impressions of this keyboard in his article; he’s a quicker typer than I am. I’ll also add that this keyboard is backlit, with white illumination and two intensity levels to choose from. As a quick tip, you can set the illumination’s active time from the BIOS, if you want the keys to switch off quicker while on battery and after a longer time on AC. This keyboard is also fairly quiet, even if the space key is a bit clunky. On top of these, Dell fixed the keypress-issues some of the users have been complaining about when this was released, through a BIOS update back in May. 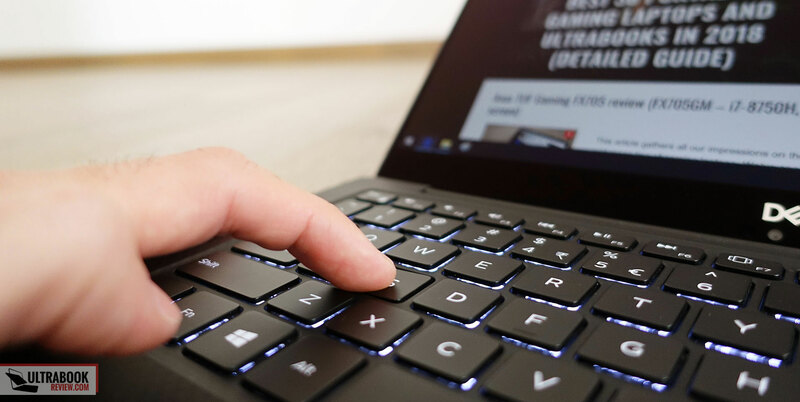 You should also keep in mind that due to this laptop’s small form-factor, the palm-rest is smaller than on other 13-inchers, and while the front edge is fairly blunt, it will still uncomfortably dig into your wrists if you’re typing on a small desk without proper arm-support. The clickpad is average in size and made out of glass. 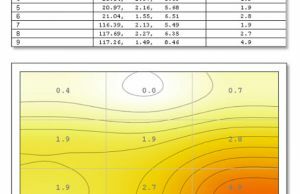 It’s a Precision surface with a somewhat glidier surface than on my original XPS, and it tracks touches more accurately. The original XPS also struggled with certain gestures and palm-rejection, but these issues have been addressed over the updates, and the 9370 actually gets a very good clickpad now. The physical clicks work well too, but they are a bit clunky and loud. 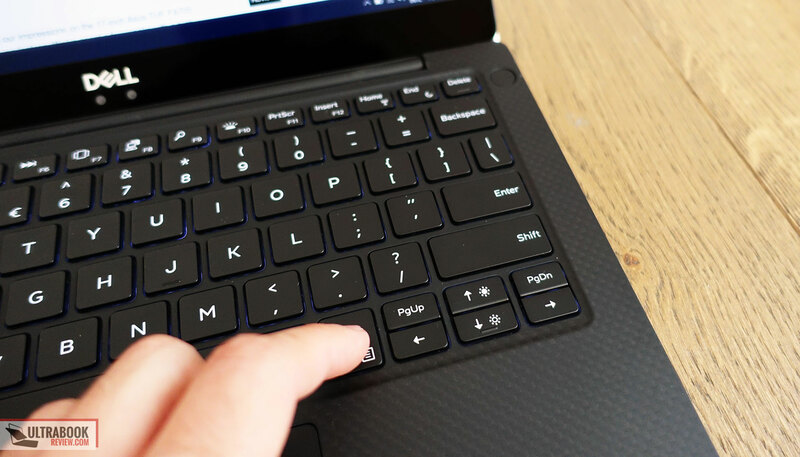 As a novelty for the 2018 update, the XPS 13 now bundles a finger-sensor integrated within the power button, which works great for logging into Windows. On top of that, the new power button eliminates the always-on light of the previous models. You can get the XPS 13 9370 with two screen options: a FHD non-touch glossy panel and a brand-new UHD touch model. We have the former on this review unit. Black on max brightness: 0.40 cd/m2. 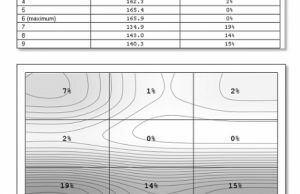 This panel uses PWM for brightness adjustment under 20%, at about 1K Hz, a frequency that shouldn’t bother even the flicker-sensitive among you. Historically the FHD screens on the XPS 13 have been affected by the annoying Adaptive Brightness Adjustments (CABC) issue that could not be switched off, but early into 2018 Dell released a fix for it, and with the XPS 9370 there’s a BIOS option to turn Dynamic Backlight Control off. So that’s one issue to cross off the list. You’ll still have to live with the reflective glass finish though, and it’s a bummer the 2018 update is not longer offered with a matte screen. 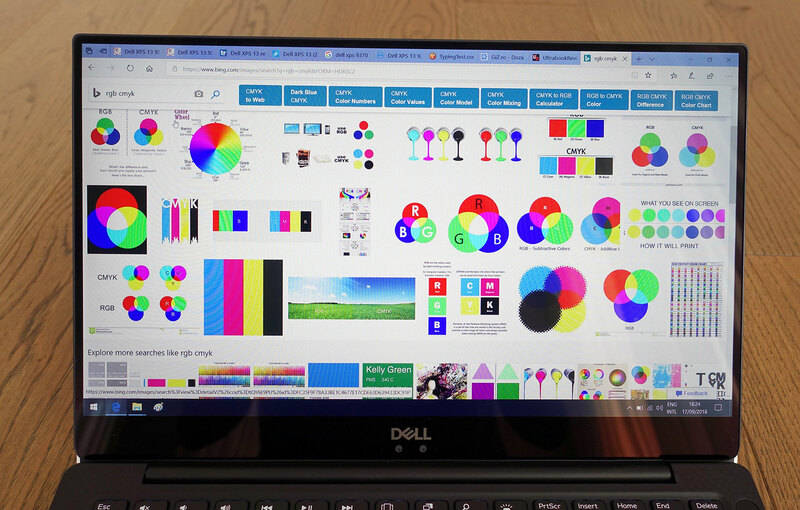 Dell also offers the XPS 13 with a richer and brighter UHD touch panel. 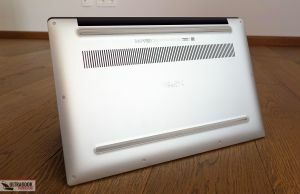 This is however a very expensive option and takes a significant toll on the battery life, that’s why the FHD alternative makes more sense on such a 13-inch computer. 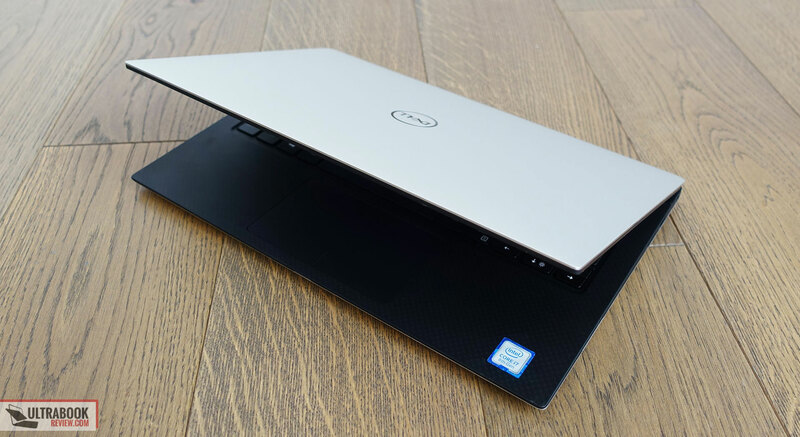 Our sample is an top-end configuration of the XPS 13 9370, with the Intel Core i7-8550U processor, 16 GB of RAM and a fast 512 GB PCIe SSD. The CPU and RAM are soldered on this laptop, so make sure to pick the configuration that best suits your needs. The KabyLake-R Core i5 models with 8 GB of RAM will handle everyday tasks perfectly fine and for most people should offer the best value for your money, but if the budget allows and you plan to run some demanding CPU loads on your computer, stepping up to the i7 and the 16 GB of RAM will offer a performance boost. The SSD can be easily replaced without voiding warranty in most regions, so you can opt for a model with a small SSD and just replace it with another one of your own choosing. For that you’ll need to remove the entire back panel, it’s hold in place by a few Torx screws, all visible around the sides. You’ll need a plastic prying tool to separate the bottom from the sides, as they’re hold together by some stiff clamps. You might also have to pull a little firmer to detach the panel, as it’s also attached to the main body by a plastic clamp in the middle. This configuration breathlessly handles everyday tasks, running cool and quiet most of the time. The fans do kick in from time to time with multitasking, but they settle down quickly after a short while. 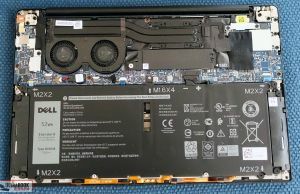 The XPS 13 has been however historically plagued by coil whine, and judging by the feedback and buyers’ complains out there, there’s a fair chance you’ll get a lesser or greater degree of it on your 9370 as well. We didn’t get any on this sample, just like I was lucky enough not to get any on my original XPS. We did however pull a short-straw with one of the fans rattling loudly under load. This is another fairly common issue and it’s caused by a defective fan bearing, which will be serviced under warranty (or you can buy the fan on eBay, but replacing it yourself will probably void warranty). 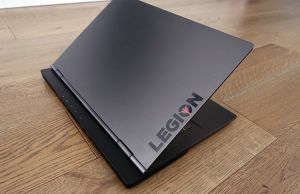 These two potential QC quirks are two of the main reasons why you should absolutely buy this laptop from a reputable source that’s going to handle claims professionally, whether from Dell’s own website or other big stores like Amazon, Best Buy, etc. 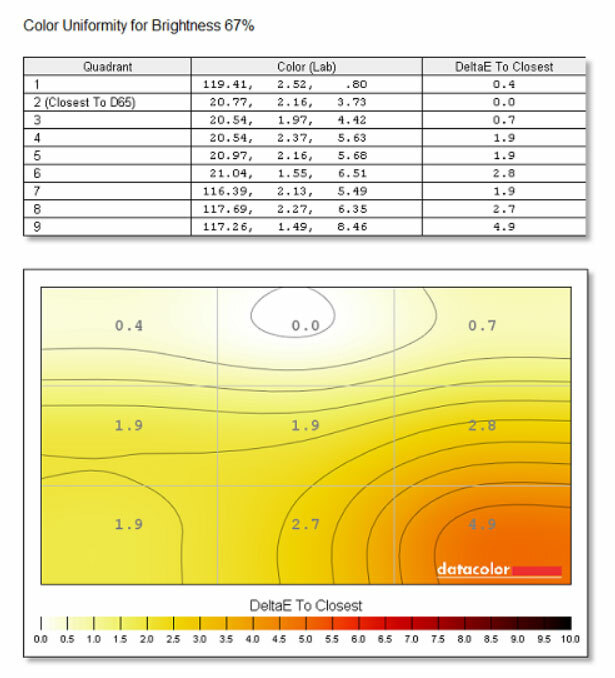 Dell’s support is actually better than most and while ideally, you wouldn’t expect to have any issues on a premium computer, QC is problematic even at this level and just something you would have to accept, knowing the issues can be addressed under warranty. 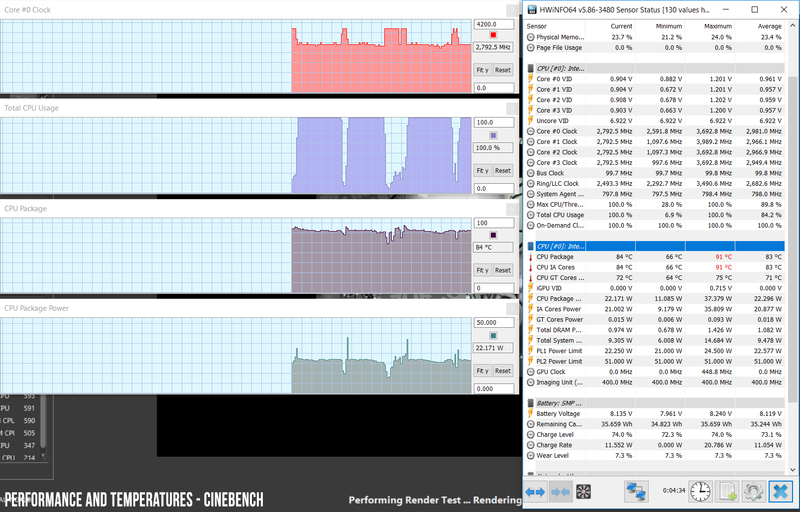 Back to our configuration, the i7 makes sense if you plan to put it to good use in demanding loads, and we test the CPU’s performance in this situation by running Cinebench R15 in a loop. 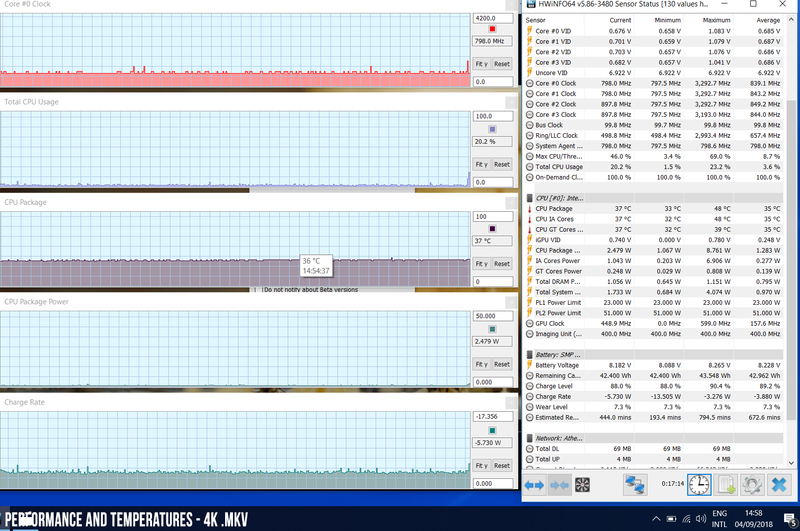 Out of the box, the i7-8550U runs at maximum Turbo Frequencies for a few seconds, but quickly reaches 98 degrees Celsius and clocks down to around 2.9-3.1 GHz. With concurrent runs, it settles at around 2.7 GHz and temperatures of around 85 C, which translate in benchmark results of around 580-600 points, down from the original score of above 680 points. 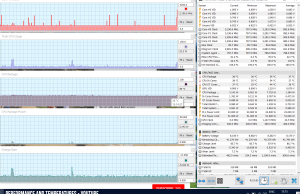 We also undervolted the CPU at -100 mV and reran the same procedure. 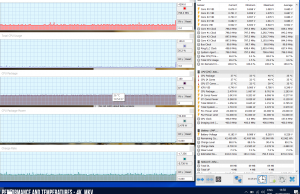 In this case the CPU scores a little over 700 points in the first run, and with concurrent runs, it settles at around 3.0-3.1 GHz and 82 degrees Celsius, which translates in scores of 630-660 points. 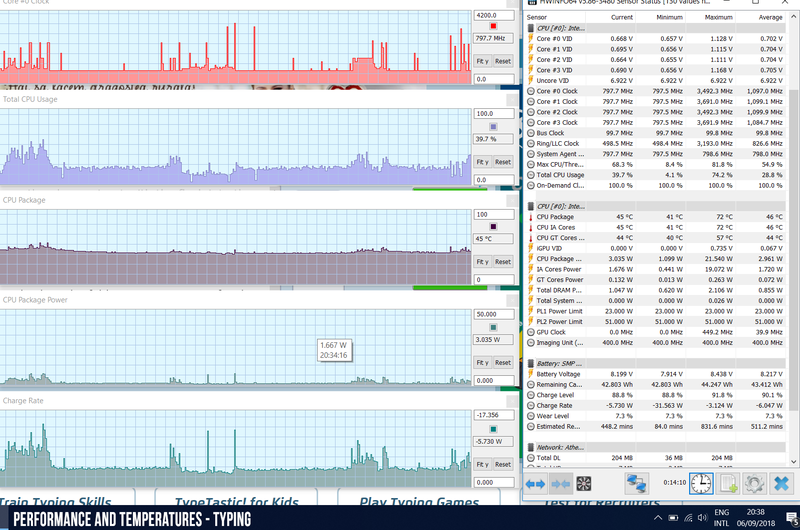 That’s a roughly 10% improvement in performance over the default profile, with a pretty significant decrease in CPU temperatures. 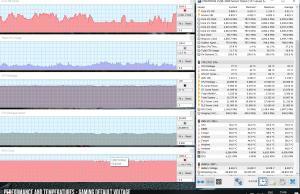 And we also ran some on the -100 mV undervolted profile. 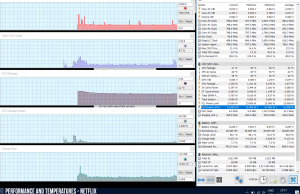 In case you’re interested in how our configuration handles simultaneous CPU and GPU loads, we tested that by running an older, but fairly demanding game: NFS: Most Wanted. The GPU performs well, running only a tad under its standard frequency of 1150 MHz, but the CPU clocks down to about 1.6-1.8 GHz, which will take a toll on the performance in these scenarios. 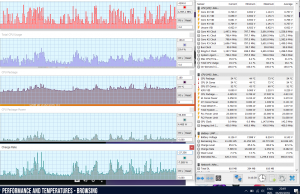 Undervolting the CPU has no impact on the recorded CPU/GPU clocks, but does allow the die to run cooler (71 C vs 77 C on the default profile). 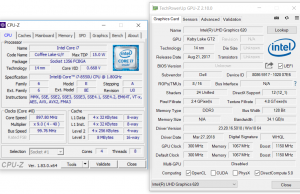 In conclusion, once undervolted, this is a solid implementation of the Core i7-8550U processor, with a higher TDP threshold and improved performance than on most other ultraportables and even the larger laptops with similar hardware, despite the compact form-factor. However, the hardware struggles to run at the best of its abilities in combined CPU+ GPU loads, thus if you’re primarily interested in a fast ultra-portable for video/photo rendering, simulations and other such taxing chores, you should go with a thicker computer with improved cooling. 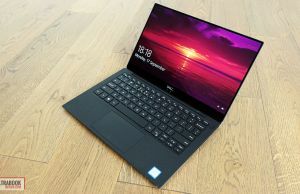 At the same time, if you’re after a compact all-rounder, the XPS 13 9370 will fit the requirements and performs a little better than the XPS 9360 predecessor, despite being a tad thinner and smaller. 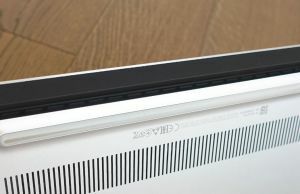 The XPS 9370 gets a redesigned cooling, with two fans and two thinner heat-pipes, in comparison to the solution previously implemented by the older XPS designs, with a slightly larger fan and a single heatpipe. As explained in the previous section, this approach does a pretty good job at taming the i7-8550U at at higher TDP threshold inside a thin build, but with some limitations in taxing CPU+ GPU loads like games and rendering software. 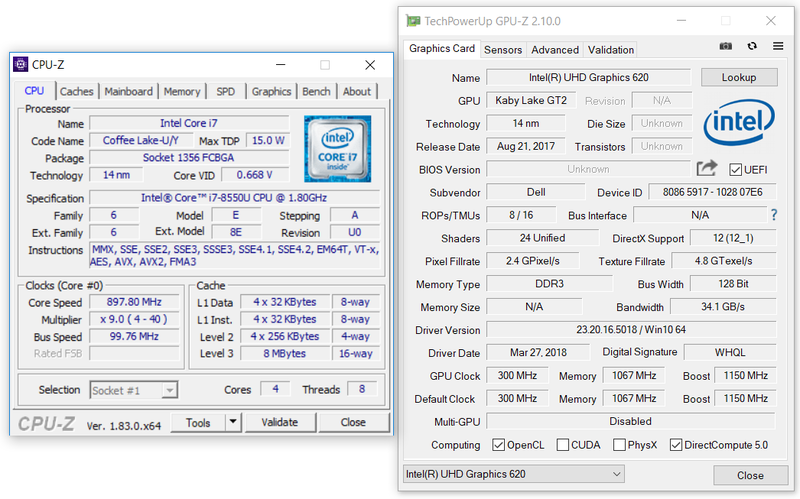 Even so, the implementation allows the 9370 to outmatch a similarly configured XPS 9360 in the Cinebench multi-run test, so it’s actually an improvement over the previous design. The two fans remain inactive with everyday use and kick-in occasionally with multitasking, but quickly settle down afterwards. As mentioned earlier, our sample was free of coil-whine and any electronic noise, but you might not be that lucky with your unit. With games, the fans ramp up and I’d reckon they’d settle at around 41-42 dB, which is pretty standard for a 2018 ultraportable. 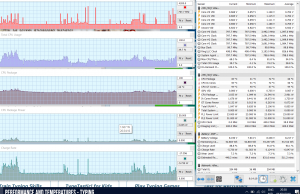 The defective fan on our unit caused increased noise-levels of around 45-46 dB. Get in touch with Dell if you run into the same issue on your unit, it’s a known QC problem and they should quickly fix it for you. 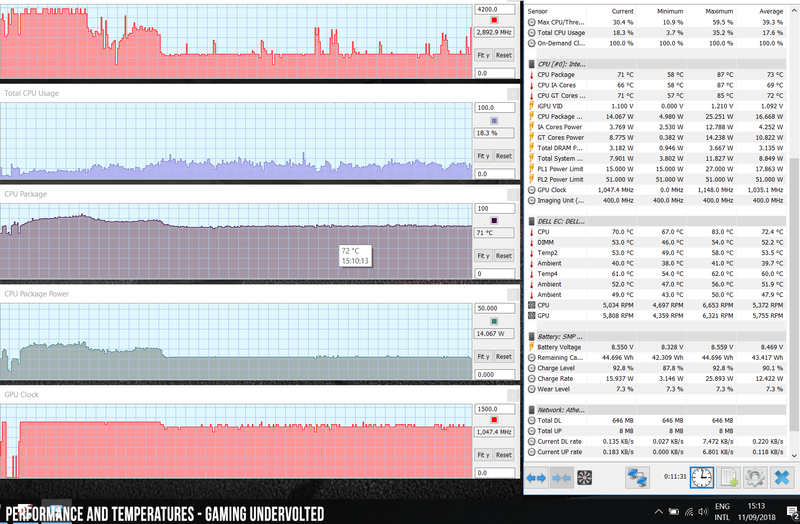 I also noticed that the fans take a bit long to kick in, and the CPU reaches temperatures above 90 Celsius before they even become active. That shouldn’t have any impact on long-term reliability, but the profile could be a little snappier to better adjust to quick-demanding loads. 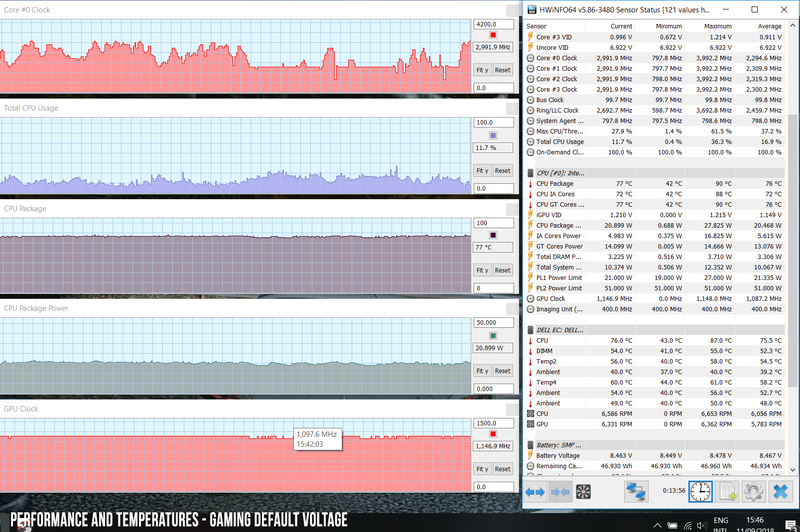 As far as temperatures go, this laptop runs cool with daily use and gets moderately hot with games. 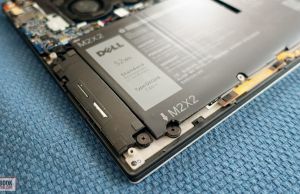 Dell emphasizes on the GORE insulated materials used to isolate the components from the keyboard in order to keep case-level temperatures at bay, and it seems to do the trick. 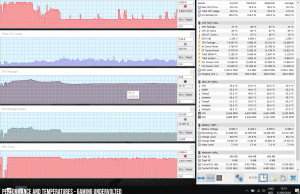 For comparison, my old Core i5 powered XPS 13 runs hotter in both cases, and with a more aggressive fan profile. 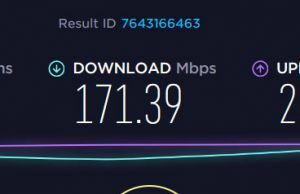 For connectivity there’s a Killer 1435 Wireless module on the XPS 9370, which is a fairly old chip for this day and age, thus not as fast as some of the newer Wave 2 options out there. 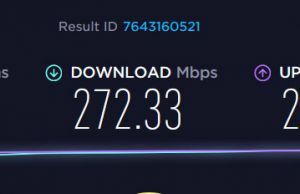 I didn’t run into any issues with it both near the router and at 30 feet with obstacles in between, and that pesky issue that caused the Wi-Fi to malfunction after sleep/hibernate and require a restart to make it work again seems to have been addressed as well with the newer drivers. The speakers haven’t changed much over the years. They still lack a bit in terms of lows, but they’re fairly loud at about 80-81 dB at head-level and sound clear even at high volumes, with no distortions or vibrations, so should satisfy most users for daily use and multimedia. The webcam hasn’t changed either. 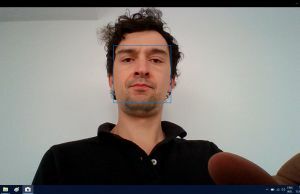 It’s still a fairly crappy 720p nose-cam placed beneath the screen, so you’ll only want to use it sporadically and not expect much in terms of image quality. The mics are still on the front lip and do a decent job at separating voices in a call, but still struggle at separating them from the keyboard’s chatter when you type on it. 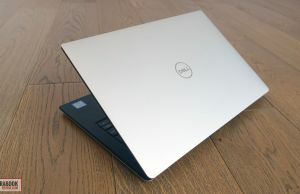 Dell did, however, add an IR Hello camera on the XPS 9370, which does an excellent job at logging you into Windows without having to type a password or using the finger-sensor. 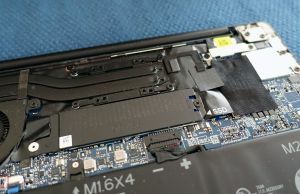 There’s only a 52 Wh battery inside the XPS 13 9370, a step-down from the 60 Wh battery on the XPS 9360. 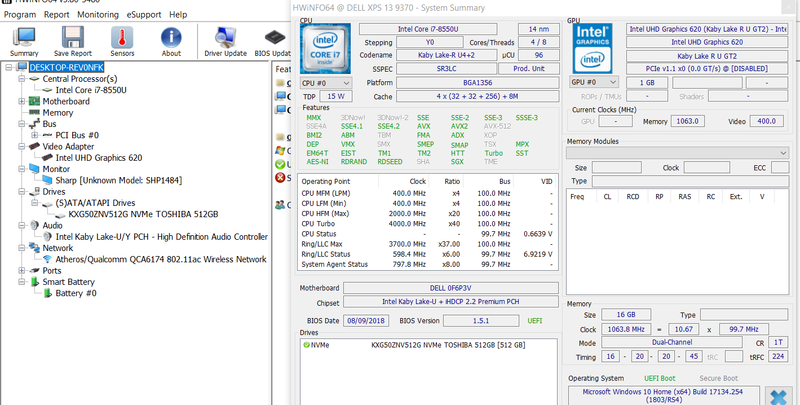 That’s corroborated with the FHD panel on this sample and overall translates in fairly good run-times in everyday use, nearly on par with the FHD version of the 9360, as Dell’s power profiles are actually more efficient than what we got with other ultraportables with similar hardware. 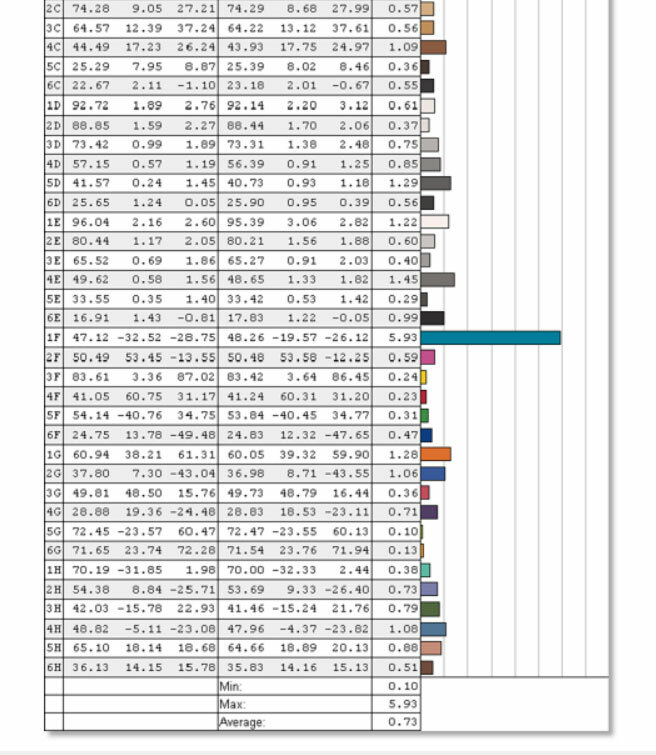 Here’s what we got in our tests, with the screen set at around 20% brightness, roughly 120 nits. 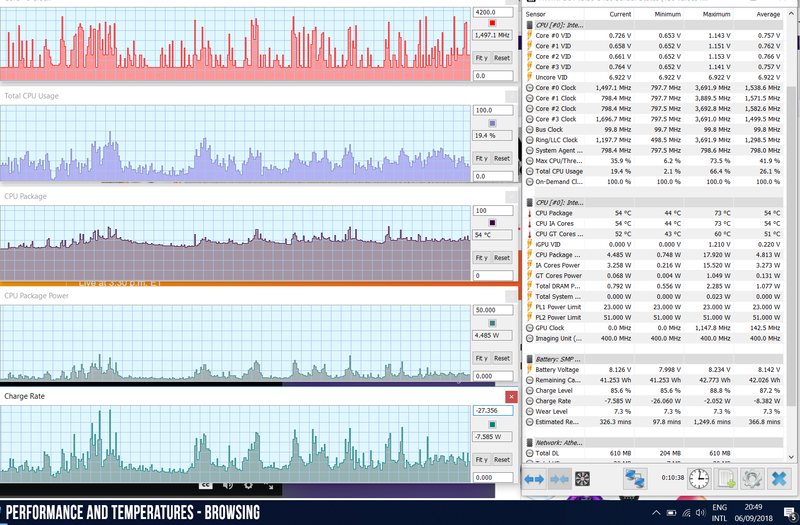 8.4 W (~6 h of use) – heavy browsing in Edge, Better Performance Mode, screen at 20%, Wi-Fi ON. 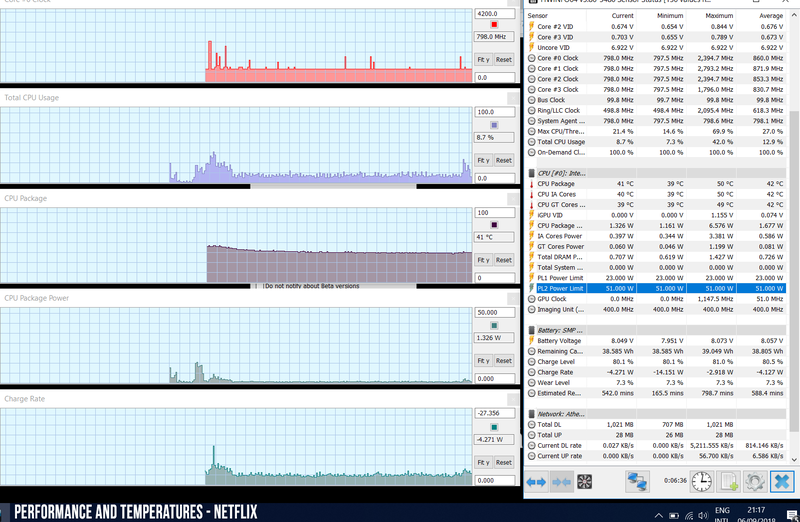 Configurations with the UHD screen take a significant dip in battery life. Expect about 4-5 hours of daily use and around 10 of video. This laptop comes with a compact 45 Wh power brick without quick-charging, so a full charge takes about two and a half hours. It charges via USB-C, and you can plug the connector in on either side, which some of you might find very convenient. 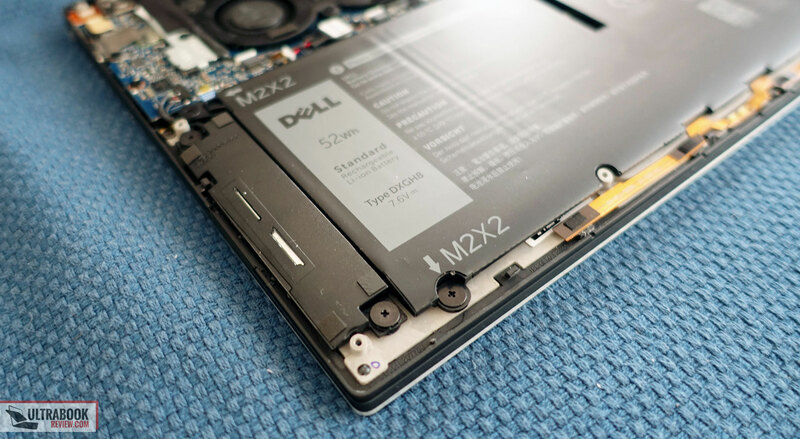 As a side note, many Dell laptops report battery wear out of the box. 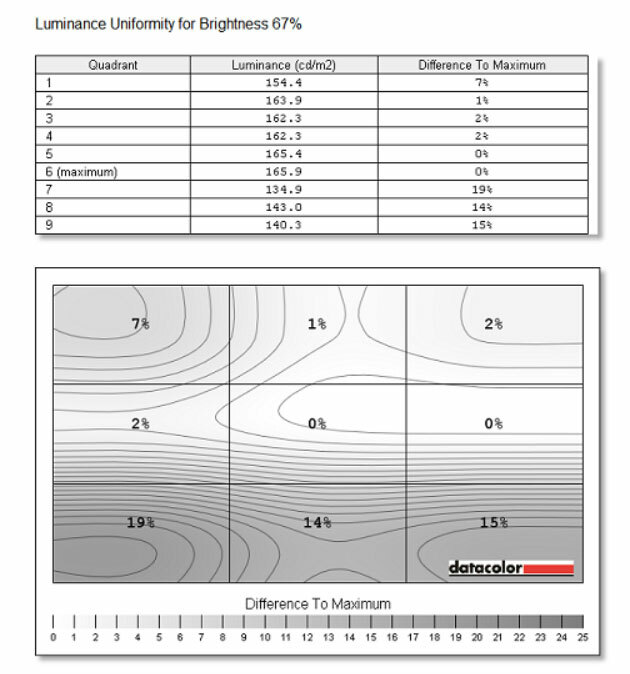 This article explains how to check for wear and hot to reset the battery if needed. The XPS 9370 is available all around the world in multiple configurations at the time of this article. The base models are built on the Core i3 dual-core processor with 4 GB of RAM and 128 GB of storage, but I’d stay away from them as the RAM is not-upgradeable and 4 GB are just not enough even for basic activities in this day and age. 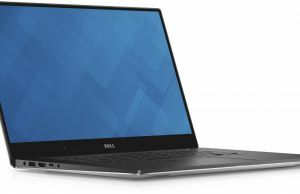 The best value is in the i5 models with 8 GB of RAM, 256 GB of storage and the FHD screen, listed at around $1200 on Dell Website, but with significant occasional discounts both from Dell and other online stores. Follow this link for up-to-date prices and configurations. Higher-end configurations get expensive quickly. 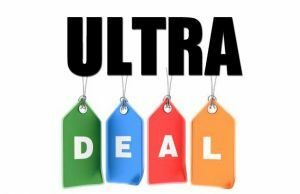 The i7 CPU is a ~$200 upgrade, while the UHD screen costs about $300-400 extra and is paired with the i7 processor and 16 GB of RAM in configurations available for $1600-$2000, or with the i5 CPU and 8 GB of RAM in bundles selling for around $1400. 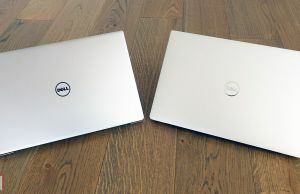 On top of these, you shouldn’t look past the existing XPS 9360 configurations, with the full-size IO, bigger batteries and more affordable prices. 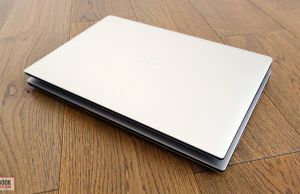 There are very few laptops out there that can stand next to the Dell XPS 13 9370, but after spending about two weeks with this 2018-update, I’m left with mixed feelings about it. 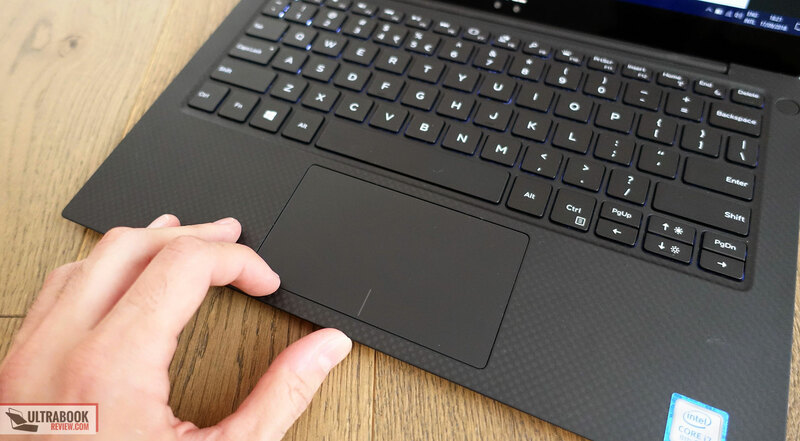 Dell updated the design and they aggressively push the smaller and more compact build, even if in reality these changes are of merely 1-2 millimeters and nobody is going to actually perceive them in real-use, especially since the weight hasn’t changed. At the same time, the redesign leads to miniaturized IO and a smaller battery, while failing to address some of the issues of the previous XPS 13 lines, both on the outside (stiff hinge, screen only goes back to ~145 degrees, average typing experience) and on the interior (coil whine, problematic fans). But even so, when we draw the line, the 2018 iteration of the XPS 13 is an excellent computer. It’s small and well built, it offers better screens than most competitors, it performs well and runs for a fairly long time on a battery, even with the snipped capacity. Compared to the previous versions it gets a few neat tricks down its sleeve: the finger-sensor, the IR camera, the brighter and richer screens, the slightly improved performance in demanding loads and the improved cooling, as well as the new gold and white color scheme. However, I can’t stop thinking that the XPS 9370 would have actually been a better laptop if all these changes would have just been added on top of the older design, with the proper IO and the 60 Wh battery. The old design is definitely not without its flaws, but the size or height were never among them. 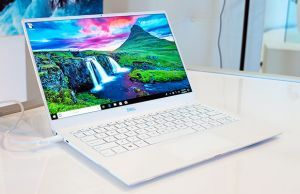 Instead of focusing on the real issues, some aspects that have little to no real-life impact took priority, that’s why the XPS 9370 is just an incremental upgrade over the predecessors and not the groundbreaking product the XPS 9343 has been back in its days. 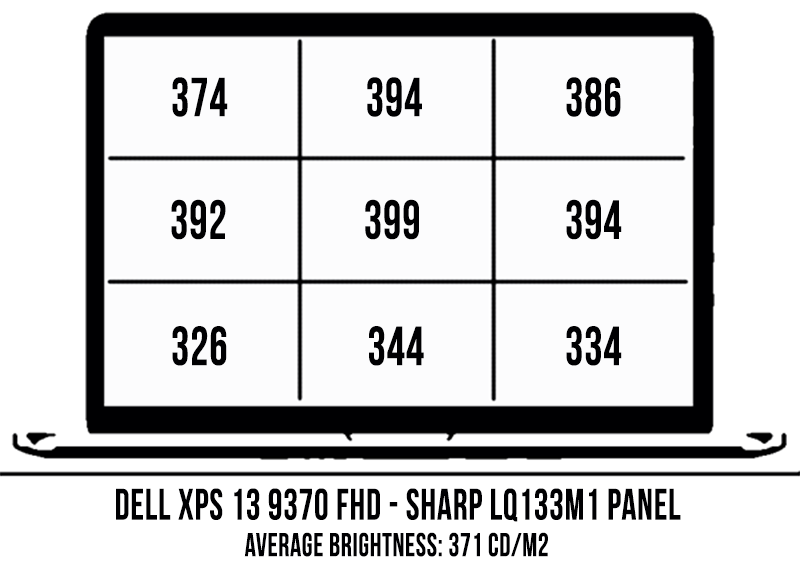 In fact, for some of you, the XPS 9360 might still be a better buy today, although it’s a tough call. On one hand, it’s more affordable, sturdier built and gets the larger battery and full IO, but on the other, you’d still have to accept the mushier keyboard (which I actually like better, but you might not), the lower-quality screens and the more basic cooling. And then there’s the competition. 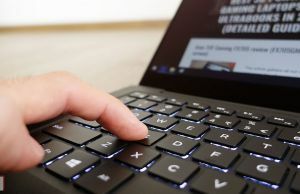 If a touchscreen is a must for you, devices like the Huawei MateBook X Pro (clamshell, 3:2 screen, 57 Wh battery, good price) and especially convertibles like the HP Spectre x360 13 or the Lenovo Yoga C930 might be better-valued products. 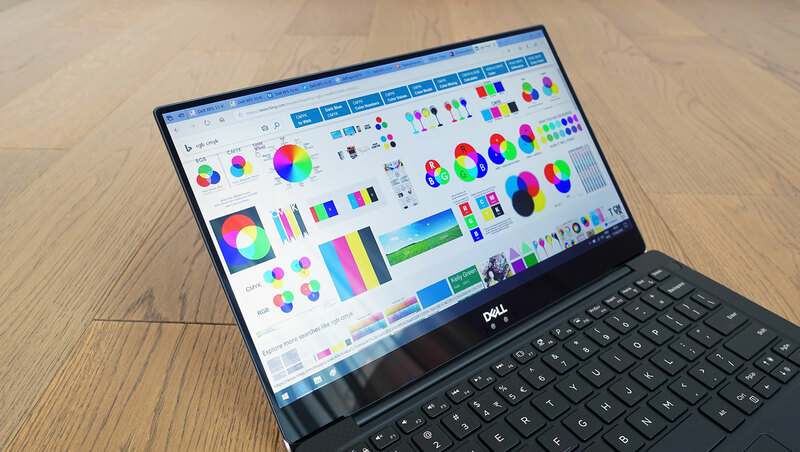 If you’re fine with an FHD screen, the XPS 13 9370 is a more competitive option in this class, but you could still consider alternatives like the Asus Zenbook S UX391 and LG Gram 13, which get dimmer matte displays, but are lighter and more affordable for similar specs. 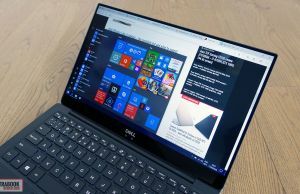 That’s about it for our review of the Dell XPS 13 9370, but the comments section below is open for your feedback, suggestions, and questions, and we’re around to help out if we can. Any issues with trackpad rattling when touched? Seems like it's a fairly widespread issue with all windows laptops, especially dell. Went to the store and even tried a bunch of different models, all the same. Does it also seem to be dependent on which position the laptop is in? 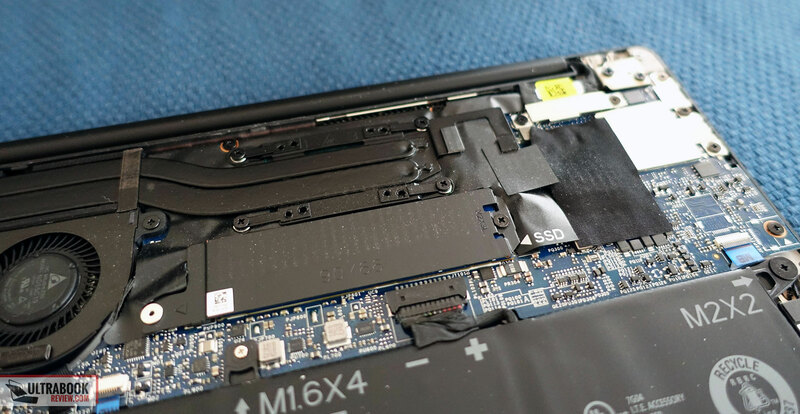 From some youtube videos, it seems due to the fact that there isn't really any sort of dampening between the touchpad itself and the laptop casing. 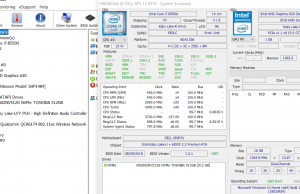 Have you experienced any of that in the dell xps models you've tested? Yeah, there's some of that. I notice it when tapping a little harder, but normally I get to ignore it with daily use and lighter taps. 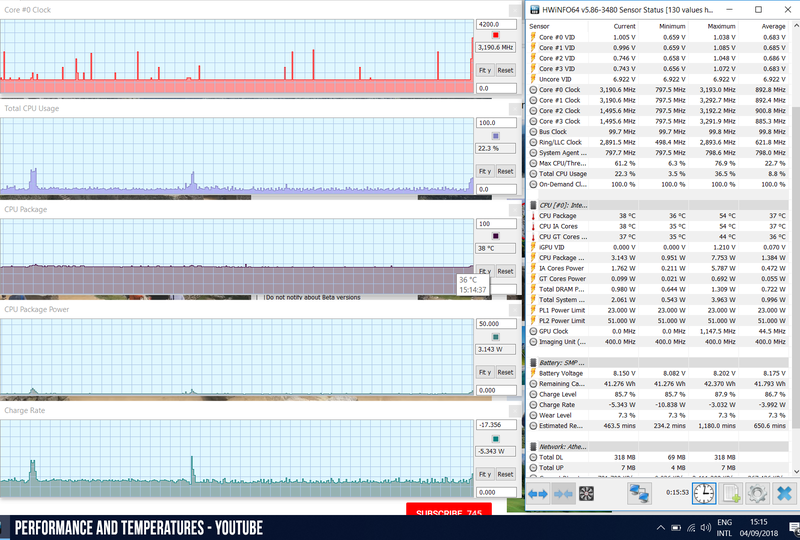 I actually think it's not as bad as on many other laptops.